Cooperative tank battles? Yes, please. Back in the mid to late 1980s, Namco released Battle City. The game can be described as "one of those tank fighting games". Seems like there were a lot of them back then, doesn't it? Anyway, Battle City held its own and eventually became a classic. Which is why a couple of indie devs have just released a modern re-imagining of the game for PC. 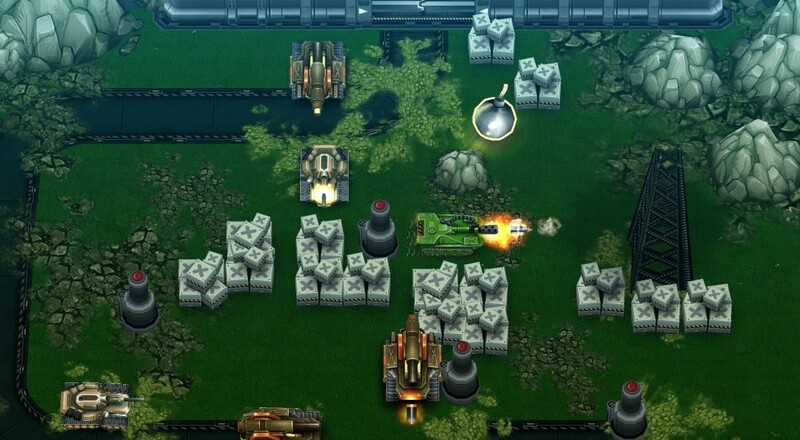 Tank Brawl takes everything that made Battle City so fun and brings it into the modern era. And in HD, to boot! The basic idea is this: you drive a tank, you shoot the tank's gun, and you blow up other tanks. That's... well, that's all you need to have a good time, right? Tank Brawl includes five different tank upgrades, destructible environments, seven power-ups, and simple controls anyone can figure out in like two seconds. Good for old retro gamers, but also good for kids. Another throwback to the days of old, Tank Brawl features local co-op for two players. Grab controllers and start shooting, it's that simple! When the game reaches 3,000 sales the team will start working on a public release of a level editor, meaning the current set of 23 stages will expand fast. Oh, and for the next day, Tank Brawl is also on sale for 10% off. It normally retails for a surprisingly low $3.99, which is a bargain even without the sale. Page created in 1.4427 seconds.